West Lindsey District Council, Guildhall. West Lindsey District Council has reviewed its opening hours to make it easier for customers to access services. The offices, based in Gainsborough’s Marshall’s Yard, currently open at different times depending on the provider and the service. 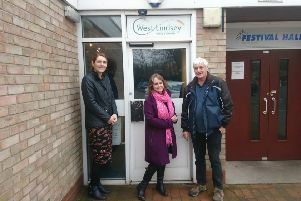 As previously reported, in 2014 West Lindsey District Council created a Public Services Hub, creating a one stop place for both council, job centre and volunteer service to work in the same place. Following a review and comments from customers and partners, the council has agreed to open its doors and phones from 9am to 5pm, Monday to Friday. The new opening times will start from next Monday, June 18. Coun Sheila Bibb, Chairman of the Prosperous Communities Committee at the Council welcomed the news. She said: “We have listened to our customers and this is in response to what they have told us they would like to see. “It is hoped the new changes will reduce waiting times, make it easier for people to access services and an improved customer experience for all our customers.